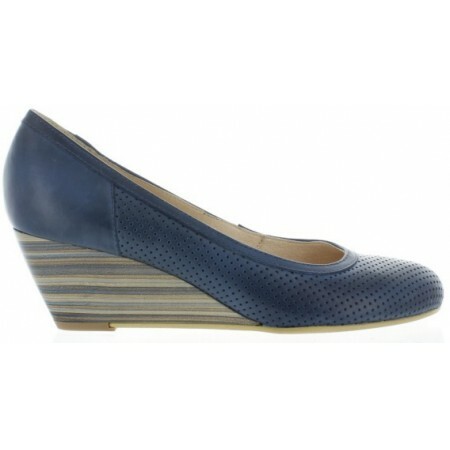 Comfortable, wedges for a modern lady. Perfect casual style for daily wear and comfort. Made out of navy smooth leather. 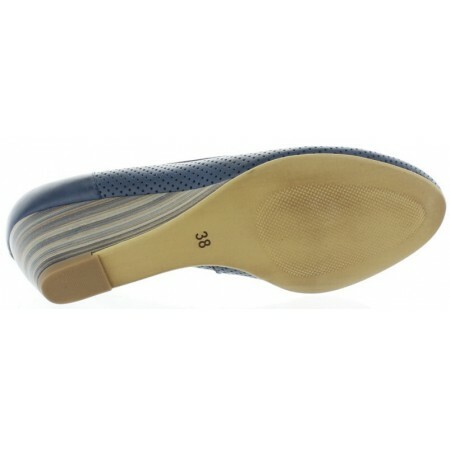 Fantastic leather soles added for durability and comfort. Unique stripe matching heel for more sassy design. Fantastic accessory to casual wardrobe. 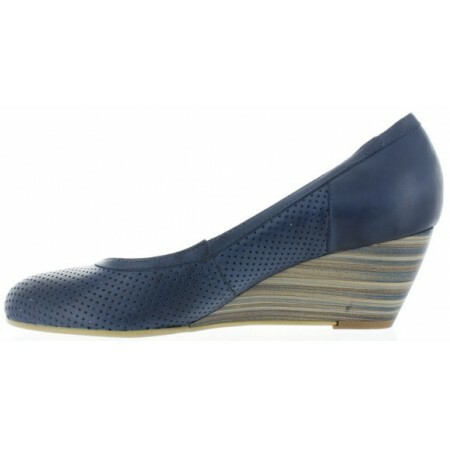 Comfortable wedges for a modern lady. 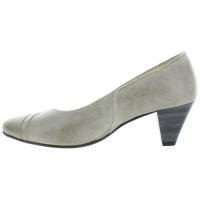 Love this shoe, it is elegant and super well made. I have rather narrower feet and this shoe fits like a glove. Beautiful leather and I love that heel. Comfortable and they become my daily shoe. Comfortable quality shoes out of beige smooth leatherBeige low heel fashion shoes for women Fashionable European comfort shoes for daily wear. Made in Poland by Gina Piacci by Eksbut. Decorative leather taupe square and bow-tie added for elegant look..